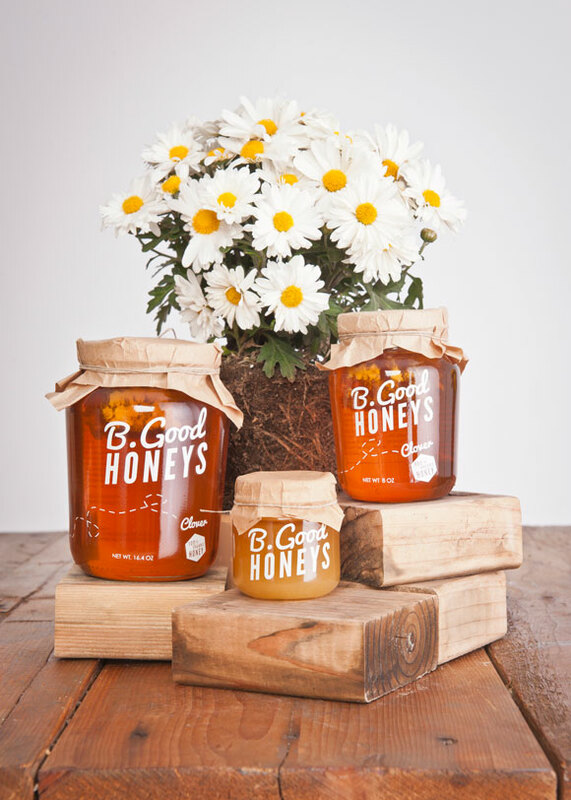 I developed branding and packaging in college for my own fictional company - B. Good Honeys. The brand was developed first, and then applied across a variety of packaging. 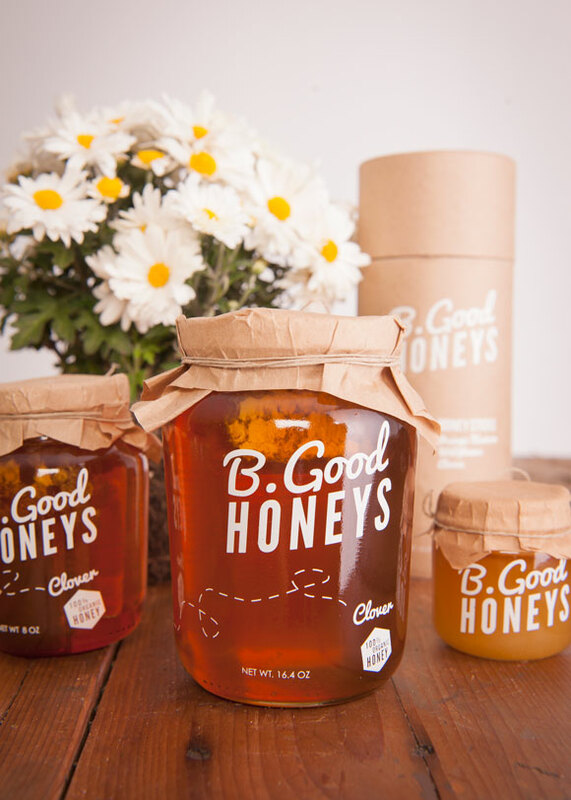 I wanted the brand to be playful, but also be seen as a high-end organic product. 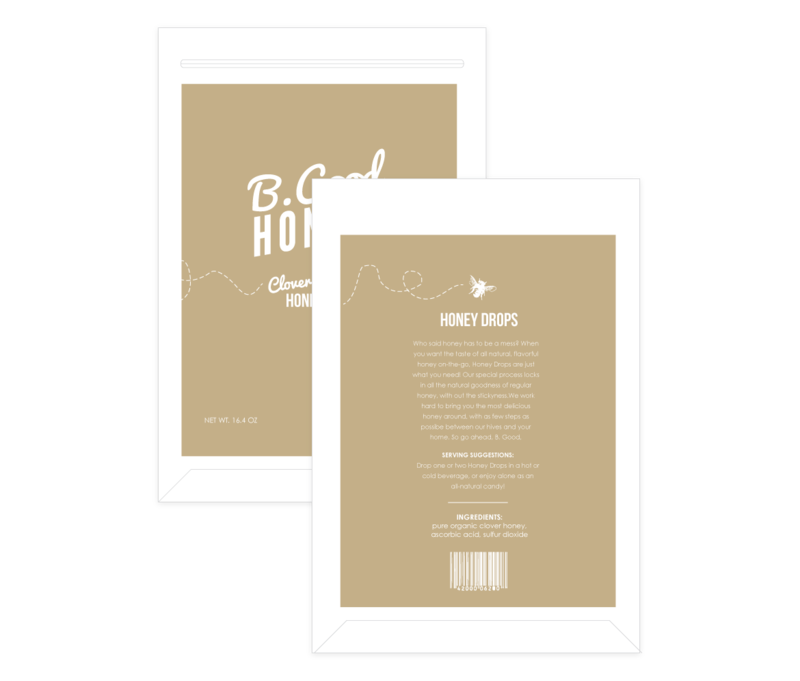 In order to reflect that in the packaging, I kept the materials and colors light and clean, and used the natural color of the honey as a central design element.